In just a few weeks we will be hosting our annual Highland Senior Center Golf Tournament and Outstanding Senior Recognition Award. Each year we honor a senior (or senior couple) who lives/works in the community and has exhibited a long commitment in service. This year�s honorees will be Bud and Margaret Wright. The Wrights have been heavily involved in the Highland community, and take great pride in its history. Margaret is a lifetime resident of Highland, leaving only briefly to go to the University of Arizona, which was a good thing, as that is where she med Bud. However, they soon moved back to Highland and have been involved ever since. Margaret taught primary school in Highland and Bud was an entomologist for the County of San Bernardino. Both were in the family citrus business, and both served on citrus packing house boards of directors and water boards. Bud also served on the San Bernardino Valley Water Conservation Board for 42 years before retiring, but remains on the North Fork Water Board. Margaret, meanwhile, was a board member of the San Bernardino Valley Municipal Water Board. Outside of water boards, Margaret has served on the San Bernardino Grand Jury, was a member of the Highland Kiwanis Club, served on the Highland Street Naming Committee, and currently serves as chairman of the Highland Trails Committee. 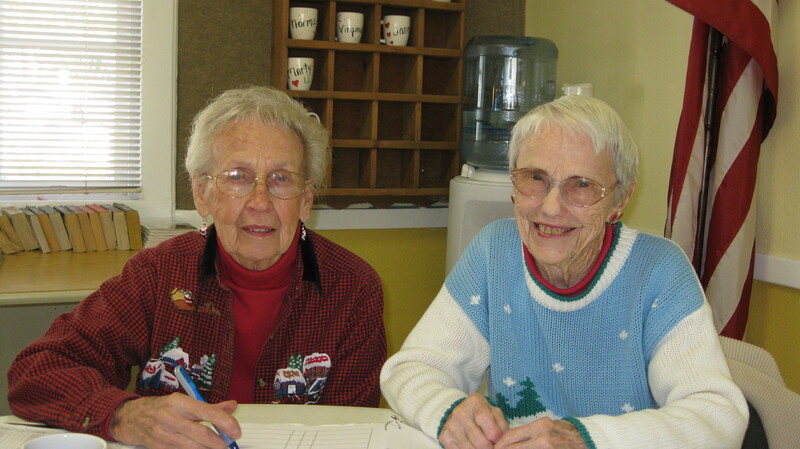 Both are charter members of the East Highland Historical Society, and have been active in the Citrus Harvest Festival, Highland Trails Days, and other Highland Events. It is because of this dedication to our community that the Highland Senior Center is proud to name Bud & Margaret Wright as our Outstanding Seniors for 2012. There are a still some open slots if you\'d like to join us for a day of golf, or if golf is not your thing, but you\'d still like to help us honor the Wrights for all they�ve done, you can join us for dinner. The big day takes place April 19th at the San Bernardino Public Golf Course and is open to the public. Congratulations to Bud & Margaret and thank you for all that you do for your community.